This trailer, where he started life in Jericho, was JUST TOO SMALL. And he soon had some money, as he learned his trade as Junior Chef at the BoxCar Diner. After a while he was able to invest, and bought some shares in the Diner. 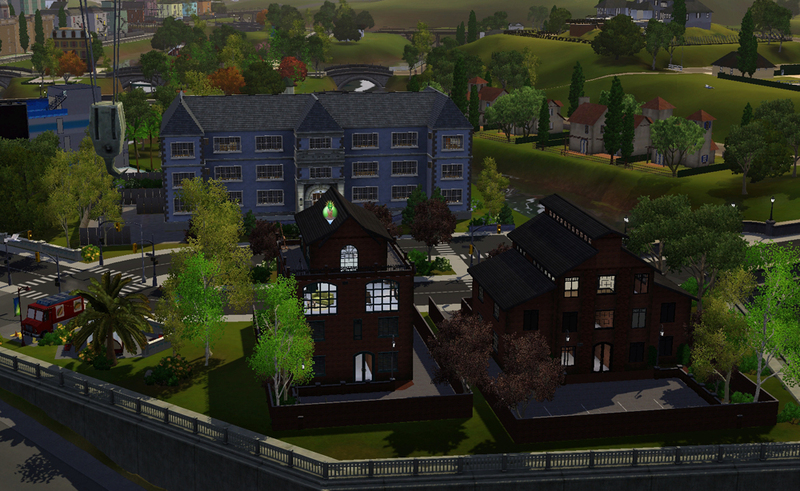 And moved house. Interviewing potential staff soon became one of his duties. This is Jules. 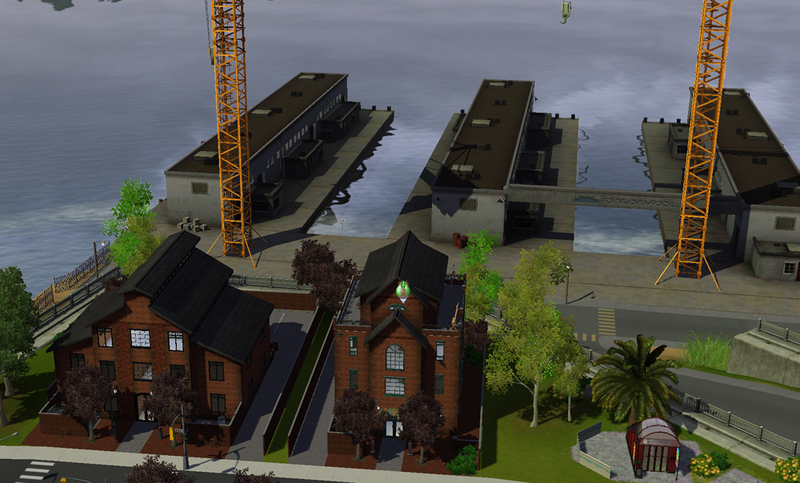 He move to a nicer place, right by the docks, but it was a large block with a big apartment upstairs. He shared an apartment with someone called Darius Cherry. Who may well have been gay, Migolia never dared ask. Darius said his ambition was to be an Interior Designer, but he spent all his time painting, sketching, drawing. Darius at the drawing board. The back of the house overlooks the docklands. Went to Cora Dixon's party. She looked stunning. He finally worked out that she had put up her hair. That dress was wonderful too. 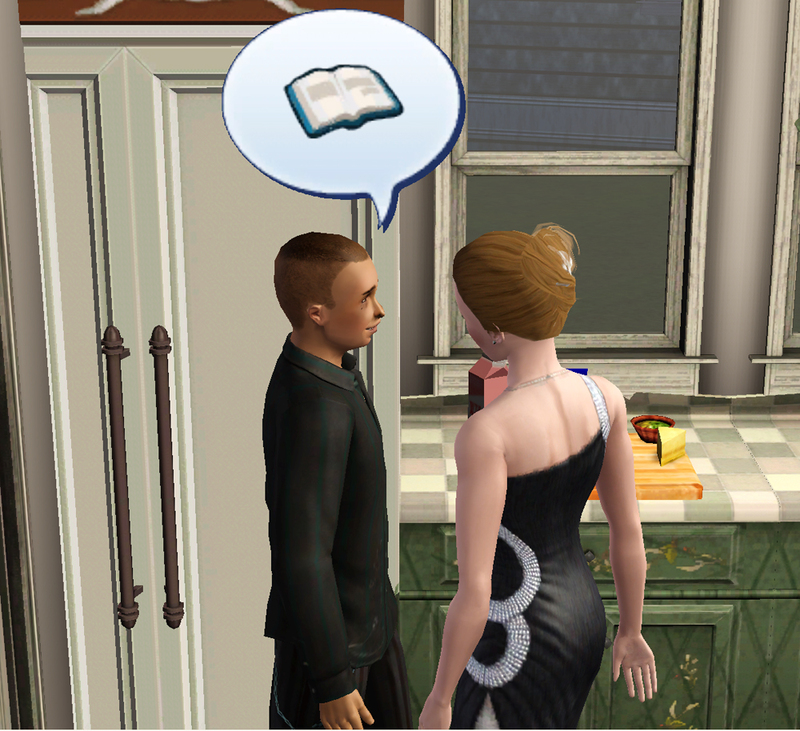 As a well-brought-up Sim should, he brought flowers for his hostess. But she wasn't impressed with his present. "So, my mouse is too slow for my clicking. Would you have a look at it for me?" "You must have fast fingers! The manual it tells you how to fix that, but I can reset it for you." He suddenly had a really strong desire to skinny-dip with that glorious pin-up figure! He ran off upstairs before his excitement showed. He had a feeling that Cora was one classy lady, and would be worth waiting for. The computer fixed, he came downstairs to meet the other guests. He also met February Rain at the party. And after the other guests had left, he got to kiss her. "Want to stay over tonight? We both have the day off tomorrow, and I thought an early start - a fishing trip maybe?" He was the perfect gentleman! 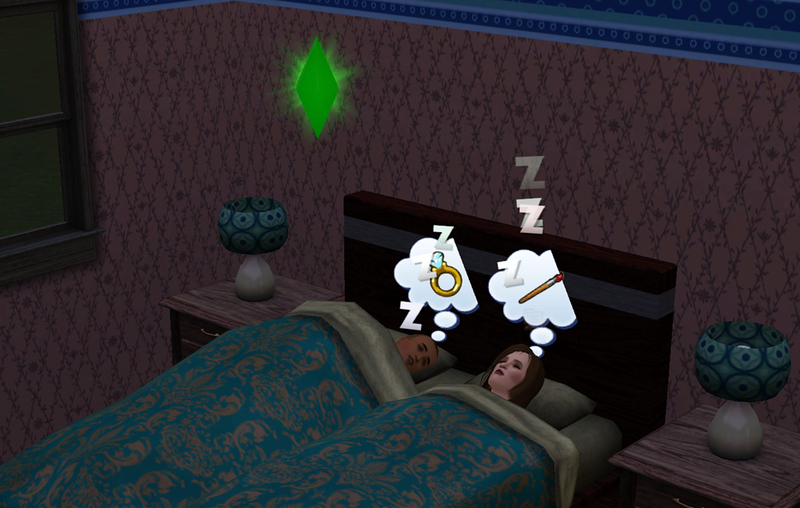 And dreamed of getting engaged.